I've had this for a at least a few days. If I remember correctly it arrived on one of the first days that our daughter was home, near Easter. Figgy gets the mail when she's home and she got this. She LOVED it. We both did. She didn't even know that Marie has a nickname that is relevant in the text. 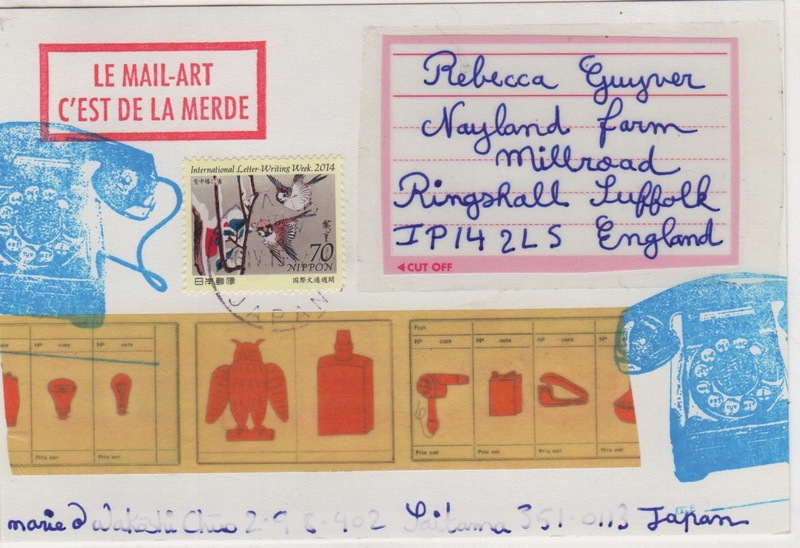 This mail art, no matter what Marie says has something for everyone. For the poet, the pun-hungry, or the aesthetic colourist, Marie delivers. Even her stamp is perfect! Huge thanks, especially as I know Marie's taking a well deserved break from m/a. 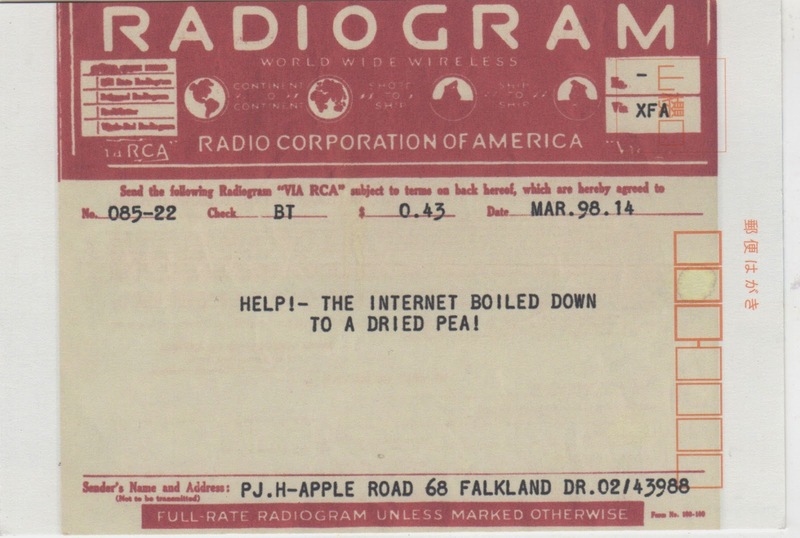 As a PS., what were radiograms? How did they work? I once sent Patrick Telexes from Africa….